Dewey Manufacturing has been supplying Sportsman, Law Enforcement, Competitors and Collectors with the highest quality gun cleaning rods and supplies in the industry since 1975. 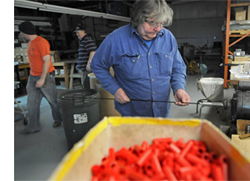 We manufacture and distribute quality gun care products. Our products include Nylon Coated Rods, Bore Savers, Delrin Muzzle Guides, Adapters, Brushes, Mops, Patches, Kits, Bulk Products for Handgun, Rifle, Black Powder, Military and Shotgun applications. 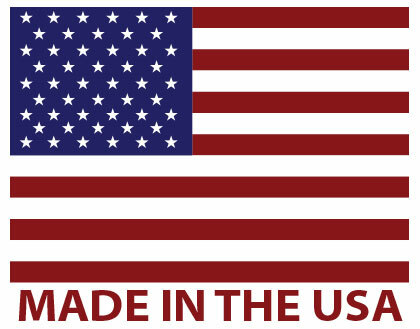 Our products are made in the USA, distributed throughout the World, and designed for the discriminating shooter. When you consider the investment you have made in your firearm be it a classic, antique, competition or hunting firearm a small investment in high quality cleaning supplies is insurance against potential damage to the bore due to contact with brush, patch holder, bore mop tips or the rod itself. J Dewey Manufacturing has been supplying Sportsman, Law Enforcement, Competitors and Collectors with the highest quality gun cleaning supplies in the industry since 1975. We are a family owned business. 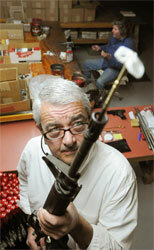 Our goals are to produce and market the best gun cleaning products we can. We pride ourselves on our customer service and stand by our product. Dewey Mfg. welcomes’ inquires from retailers or dealers interested in a premium product line. Our premium products stand out from the rest. Dewey Manufacturing always welcomes inquires from customers and gun owners interested in purchasing gun cleaning products that protect your investment. We offer a Limited Warranty against defects in workmanship for 90 days from the date of purchase. Our line of Nylon Coated Cleaning Rods are designed to give you years of trouble free service. Dewey Manufacturing has a network of retailers in North America and Europe. If you would like to become a retailer or dealer of our fine line of gun cleaning products send us an e-mail, call, fax or write us.